The Lapin Kulta brewery was established in 1873 and is located on the banks of the river Tomio, on the boarders of Finland and Sweden. Its name originates from an old gold mine from the “gold rush” era, where there is a rumor that only women worked. 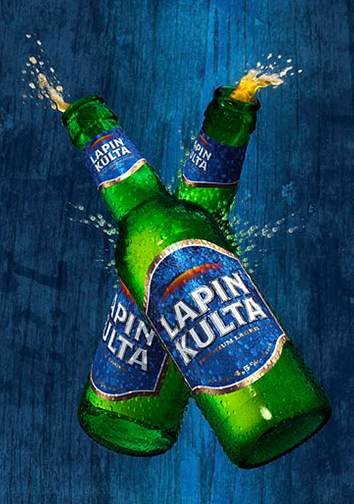 The blond Lapin Kulta is characterized by its crystal color and refreshing taste, which derives from the waters of the iceberg of Lapland, its fruity aroma and its rich foam. It’s an incredibly refreshing beer with a label showing a superb image of the North Star. Find more information about Lapin Kulta.